Kate wants to change her daily routine of casual drink and drug use whilst writing the odd article for numerous lifestyle magazines. She lives with her partner Charlie in a fashionable part of London (but not so fashionable flat) and their relationship could be best described as tolerable. Into her life comes Wolfy a cross lurcher with shaggy dog features loveable and needy, the perfect companion for Kate to turn all her affections "what an unequalled joy it was to love and be loved with no conditions, even by a dumb animal" One day whilst leaving Wolfy in the watchful hands of her brother, Wolfy it would appear, decides he has no further need for his affectionate yet annoying(my opinion) owner and does a runner. 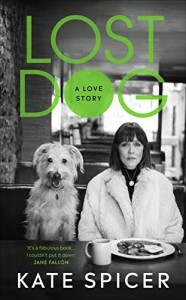 The remainder of this "shaggy dog story involves Kate's 9 day search for her loveable pooch and the will she or wont she find him dilemma that ensues. There are some good characters introduced along the way most notable being the midnight runner (likes to train at night when the streets are empty) and Anna Twinney (the founder of reach out to horses...and it would also appear dogs) who for a price will make some "out of this world" contact with the missing pooch the hope being that Wolfy can be found. The excitement builds, the emotions are running high as the reader and Kate stumble from false sighting to false sighting...will she ever find him? You will need to read the story to find out. A pleasant enjoyable read with some tidy life observations...."Love isn't just neurotransmitters, is it? It's not just dependency. It is our route to something beautiful, mysterious and transcendent. Without it, life is a hollow set of functions and, frankly, pointless"....Many thanks to the good people at netgalley for a gratis copy in return for an honest review and that is what I have written. 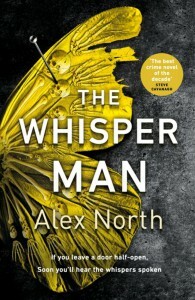 First book by Alex North and what a brilliant psychological thriller it has proved to be. The body of a child Neil Spencer is discovered his death bearing an uncanny resemblance to the murder of five children some years ago...but that is impossible as the killer Frank Carter is imprisoned. DI Pete Willis is the policeman in charge but he is haunted by his past failures and his daily struggle with alcoholism...."So drink then. You're worthless . Just do it. The urge was stronger than ever, but he could survive this. After all ,he had resisted the voice in the past"... There is not only a great story line but add to this a touch of the supernatural and characters that jump off the page then we have all the ingredients for a super exciting thriller. Many thanks to the good people of netgalley for a gratis copy in exchange for an honest review and that is what I have written. Highly recommended. It is not often that I read a book by a new author and think...wow! 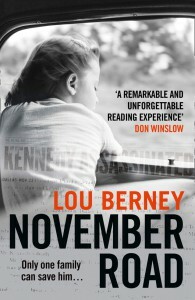 that was a thrilling ride.November Road by Lou Berney simply crackles along with strong characters, clear precise prose,and a really enjoyable story. 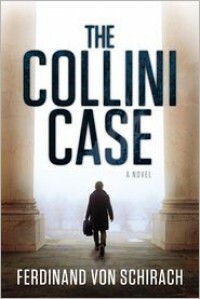 Frank Guidry "former fixer extraordinaire for the Marcello organization is a hunted man. His employers are uncomfortable that he knows a little too much about the perpetrators behind the assassination of JF Kennedy in Dallas and need to terminate his employment on a permanent basis. As a separate story we learn that a beautiful young housewife Charlotte has escaped the clutches of her controlling drunken husband Dooley and is on route to the west coast with her two daughters Rosemary and Joan. As luck (or possibly not) would have it she crosses path with Guidry and this newly combined family attempt to stay ahead of those who would do them harm. As an avid reader and reviewer I often try to anticipate the direction a story is heading and how the adventure will conclude. I was pleasantly surprised with the ending of November Road as the author presents an unexpected conclusion to a cracking little crime thriller. Many thanks to the good people at netgalley for a gratis copy of November Road in exchange for an honest review and that is what I have written. Highly recommended. Marie-Laure a young blind girl lives with her father in the suburbs of Paris. Her father has created a miniature model of the city and by memorizing the detail she is able to navigate in real time. Meanwhile Werner a skilled radio operator and member of the Hitler youth spends his day identifying and neutralizing Resistance threats when heard over the airways. So we have a story told in alternate voices through the eyes of two young people. It is an obvious assumption to make that the lives of Werner and Marie will interact at some time in the near future. Threaded throughout the action is the mystery of a precious stone known as the "Sea of Flames"...that is legend has it that bad luck will befall the lives of those who own it. 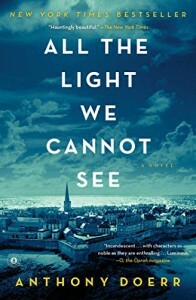 There is little doubt that "The light we cannot see" is a beautifully written book taking place at a harrowing, disturbing and changing period in world history. However the descriptive wordy narrative begins to irritate after a relatively short time and although the novel may appeal to many I found it rather ponderous. 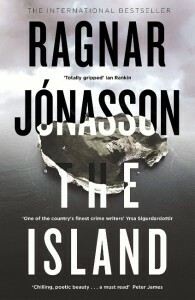 The Island" falls into a category of books loosely referred to as Scandinavian noir. Set in Iceland the volcanic landscape and frozen polar conditions adds an eerie silent and unpredictable element to the events as they unfold...."What the scenery lacked in drama it made up for in its all encompassing tranquility, its sense of space and emptiness. The only accents of colour in the treeless landscape were provided by patches of bilberry and crowberry plants and the calm blue waters of the fjord below....."
Underneath the main crime investigation a secondary mystery unfolds. Hulda is trying to trace the whereabouts of her real father. She knows he was an American GI and on impulse travels to the US only to be faced with disappointment. Ragnar Jonasson uses this opportunity to tease the reader and in the closing pages an unexpected detail is revealed adding a delightful ending that is sure to be explored in future books. The stark and bare landscape is used to great affect by the author to add tension and unpredictability to his writing. Hulda Hermannsdóttir is a sad highly intelligent police officer performing her daily workload to the best of her undoubted ability. I felt however that the story itself was somewhat unoriginal (four friends camping, one is killed, who is the murderer amongst them) yet having said that The Island was a fine example of Scandi noir. Many thanks to the good people at netgalley for a gratis copy of The Island in exchange for an honest review and that is what I have written. Reading progress update: I've read 500 out of 544 pages. Jonathan Brewster , a photographer, lives with his 4 year old daughter Joanne in New York. At a musical event in the city he meets and becomes besotted with Sara Coleridge, a harpist. Ghostly spectral images begin to appear in a number of his photographs and added to this Joanne's new invisible friends and her obsession with a place called childgray. 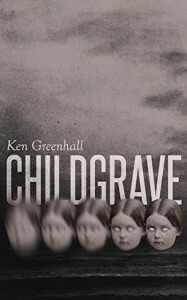 When Jonathan researches the word childgray he realizes what is daughter was meaning to say was Childgrave which reveals itself as a small community/village north of New York. He becomes convinced that he must visit Childgrave especially when he is informed that Sara Coleridge also resides there. An invitation is sent from the good citizens and Jonathan heads north for a new life.. This is a good old fashioned horror story that culminates in the unveiling of a community that time has forgotten. A community with its own laws and rituals, a community that an outsider should fear. But Jonathan is a man deeply in love unaware of the dangers that he and his precious daughter will soon be subjected to. A beautiful story bristling with the supernatural containing some very intriguing characters none more memorable than Delbert Rudd Childgraves chief of police. Many thanks to the good people of Valancourt books( an independent small press specializing in the rediscovery of rare and out of print books including horror and gothic fiction), for sending me a gratis copy in exchange for an honest review and that is what I have written. Highly recommended. Yet another solid read from master storyteller Stephen King. The body of a young boy Frank Peterson is discovered badly mutilated and all evidence points to local football coach Terry Maitland. What starts off as a simple crime story turns into something much more sinister when an evil presence is uncovered and the skills of Detective Ralph Anderson are soundly tested. There are many familiar King themes here; the supernatural, living in small town America, and the ability of friends to come together and face danger with a united and determined front. 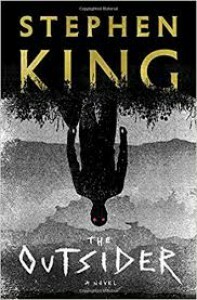 This will probably not be remembered by me as my favourite Stephen King book (that is simply because he has set himself very high standards with such noteworthy reads as The Green Mile, The Shining, 11.22.63...to name three) but it is still very enjoyable and a treat for all his worldwide readers. Two years ago I read the debut novel The Dry by Jane Harper and I thought it was fresh, intelligent with the great rugged Australian outback forming a beautiful backdrop. Force of Nature was the second book featuring Federal Police agent Aaron Falk and although not quite as outstanding as The Dry it was still an excellent read. 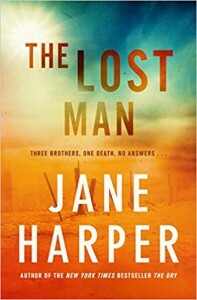 So with some excitement the good people of Little Brown via netgalley sent me a gratis copy of The Lost Man in exchange for an honest review and I began to read..........Do you remember in the early 80's the adventure of the Ewing family in the long running series Dallas which in reality was an American soap series analyzing the never ending feuds of a wealthy oil dynasty. The Lost Man reminds me so much of this series a family torn apart by its past having to cope with sudden unexpected death. The body of Cameron is discovered one morning by his brothers Nathan and Bud under the relenting sun and brutal Australian outback...unfortunately that's about as good as this story gets. We spend the best part of nearly 400 pages listening to tedious family squabbles as old hatreds and secrets come to the surface. This was a monotonous piece of storytelling with little or no excitement that rambled forever until the final pages when Cameron's murderer is revealed. A story that was monotonous in the extreme with its constant use of the word "mate" (yes I know it is Australia but there is such a thing as overkill) a story that I found contained little merit and a story that I most certainly would not recommend. Many thanks to the good people at netgalley for a gratis copy in exchange for an honest review and that is what I have written. Reading progress update: I've read 90 out of 576 pages. It's only when I return to King that I realize how wonderful he is...he's as fresh in his writing from Carrie to the present. 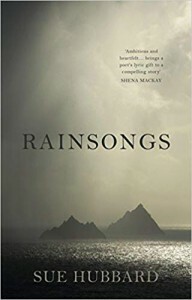 An amazing author who makes his stories so exciting and his characters so real..
A wonderfully lyrical walk through the untamed south west coast of Ireland at the daily mercy of the wild unpredictable Atlantic ocean. Martha Cassidy has returned to the cottage that she and her deceased husband Brendan owned and spent many happy years. She is trying to finalize Brendan's affairs before deciding if she wishes to stay or sell the cottage. Through her eyes we meet unscrupulous property dealer Eugene Riordan eager to woo Martha as he is hoping to acquire her property for his future development plans. Sue Hubbard uses the landscape as a descriptive backdrop to her flowing narrative style...."This is the end of the world with nothing between her and America except the cold sea"....."She's not religious. 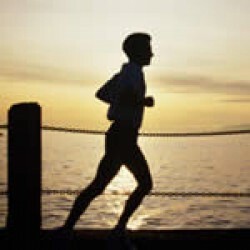 For her death is the end A soundless dark beyond time and sleep"....."Our lives are so hectic that not to be busy is considered a modern vice, evidence of inadequacy, proof that we're no longer important."...... "to find a landscape to fit our dreams and disappointments. When there's nothing left there's still the ocean and the sky"....."Were they too, running from intimacy in order to avoid love's vulnerability"......There are a number of surprises that unfold as we delve deeper into Martha's regretful past, and a new acquaintance that she unexpectedly meets during her stay. Will she decide to remain or return to her old life in London. In the quiet moments of this breathtakingly beautiful location old memories return and with them a great sadness...A very enjoyable read that brought the beautiful location of Southern Ireland to life. Highly recommended. Rory Gallagher was one of the greatest Irish rock musicians of the mid 70's. A shy impressionable young man who was only truly happy when he stood centre stage and performed as only he could in front of his adoring and worshiping fans. However underneath that sensitive persona was a man uneasy in his own company, restless, unable to settle preferring to tour endlessly. In the quiet dark moments he consumed an increasingly dangerous amount of alcohol and prescription drugs (prescribed for him to combat his fear of flying) Julian Vignoles has written a sympathetic moving biography complete with many pictures of Rory the musician at ease and on stage. Everyone who spoke about Gallagher had nothing to offer but the highest praise; his professionalism, his approach and dedication is all the more poignant when we realize how disillusioned he became in later years, his drug and alcohol dependency leading sadly to his premature death. 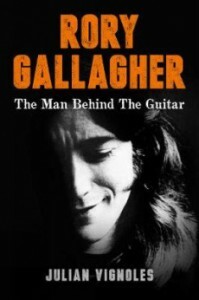 A wonderful read that for me personally held many memories and a great tribute to a quiet gentle musician. The usual great fun, multi layered, gritty Scottish detective story. Sergeant Logan McRae as always ever troubled and hindered by the sarcastic often witty comments from the politically incorrect DI Roberta Steel.The body of a little girl washes up on a sleepy coastal town and it is this case that forms the central story in The Missing and the Dead. As well as unravelling the mystery of the child Sgt McRae still needs to deal with a multitude of incidents and petty crime that form the day to day case load of Police Scotland. 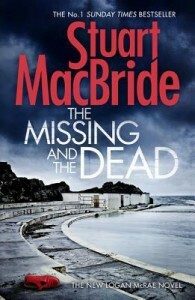 Stuart MacBride is unique in crime fiction. He has the ability to hold his readers attention by layering his narrative with colourful incidents and shady characters that are the backbone of everyday modern police work.There is great humour and warmth in MacBride's writing and yet he manages to deal eloquently and sympathetically with the search for the killer of a precious young girl resulting in a surprising and yet equally sad conclusion. Long may Stuart MacBride reign as the king of Scottish noir.